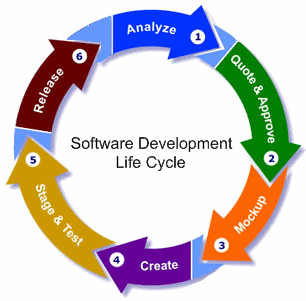 Infortecor is one of the leading software development companies in UK and India, we have a quality software development team who are expertise in technical acquaintance, experience and dedicated towards their work. We identify and place a vast highlighting on the significance by understanding our customers businesses and processes as the requirement of the customers is our single most important factor in delivering software that is unique, effective and that truly adds value to the client’s operation. Our employees are highly professional towards the client requirement and equipped with latest technologies, creative thinking and low cost, but high quality and 24/7 support to the clients. During the analysis stage our expert team (Business Analyst) analysis the requirement as per client specifications and prepare the documents as Software Requirement Specification (SRS) and use case documents. After creating the SRS documents, our Business Analyst team will consult the client to check whether the ready document is as per the specification to avoid the further drawbacks in other stages. In design stage, we provide prototype of the SRS documents for better understanding of requirements at each stage of development to client. Design the application as per the client requirement with ERS diagram for better understanding of the product and each module is developed by respective team. Our teams work in group for better and quality software with accurate testing results and products are programmed by our experts and professionals. After completing each module, products will be tested for bug free software. In this stage our testing team tests the application for any defects and bugs to provide the client bug free application. We follow various testing methods which include STLC (Software Testing Life Cycle), Traceability Method and we use Automation Testing and Performance Testing tools. We have expertise in each domain with relevant experience and knowledge who can deliver quality products within the freeze time. For more information on our project and company you can contact us at info@infortecorp.com.